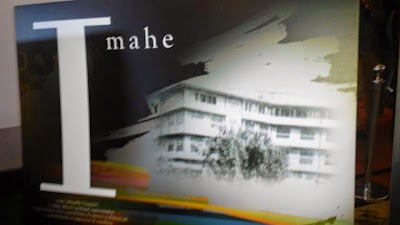 The #MaghihintayAkoManuel mystery billboards that went viral in social media weeks ago has now been revealed and made clear with the unfolding of Manuel L. Quezon University (MLQU) Grand Alumni Homecoming event at the Edsa Shangri-La, Manila dubbed as "MLQU Regaining its Glory! Sikat ‘pag Quezonian" . “Maghihintay ako… - Manuel” statement has been the talk of the town with the numerous billboard sightings all over the Metro, SLEX and NLEX. Now, all clues have finally fallen in place to explain the mystery behind Manuel's character and the circumstances surrounding this puzzle. Manuel is Manuel L. Quezon University (MLQU). 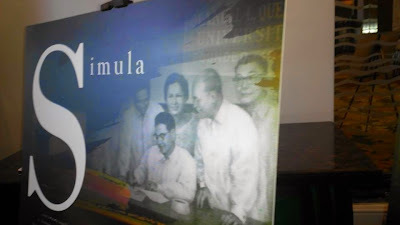 The mystery billboard was part of MLQU campaign to emphasize its historical significance to the new generation. It heralds the university's many plans to continue its legacy into the future under the new leadership of New San Jose Builders Inc., its new owner. MLQU assures that with the help of the new management, today’s generation of Quezonians would be able to meet and even exceed the glory of the university's past. From the time New San Jose Builders' acquirred MLQU in October 2014, plans for upgrading the university are beginning to take shape. At the top of its priority are reclaiming its role as a breeding ground for nation-builders and producing graduates that would attain 100% passing rate in board and bar exams. 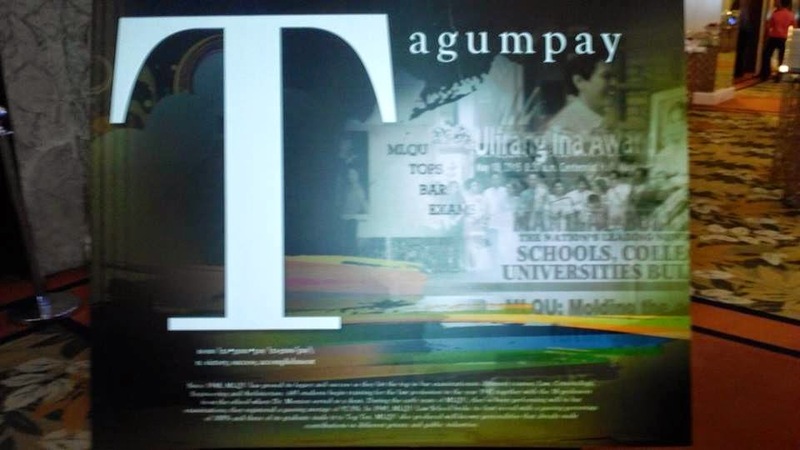 In the past, MLQU has produced notable Quezonians who have made an impact in their respective industries. Among these are Rustica Carpio (academician and multi-awarded actress on stage, film, and television) who first appeared in Ishmael Bernal’s Nunal sa Tubig in 1976. She made over 50 other films in her more than 30 years in the industry. For her accomplishments, Dr. Carpio is a recipient of over 50 national and international honors and awards which includes being one of the Ten Outstanding Women of the Philippines in 1968 from Federacion Internacional de Abogadas (FIDA Phil.) for her invaluable achievements in the field of performing arts. She was also cited in The World Who’s of Women, Vol. 6, 1982 published in England by the International Biographical Centre. Another alumnus who made a name for himself is Neil Perez, an officer of the Philippine National Police Aviation and Security Group, he won the title of Mister International Philippines in a pageant held in Seoul, South Korea on February 14. 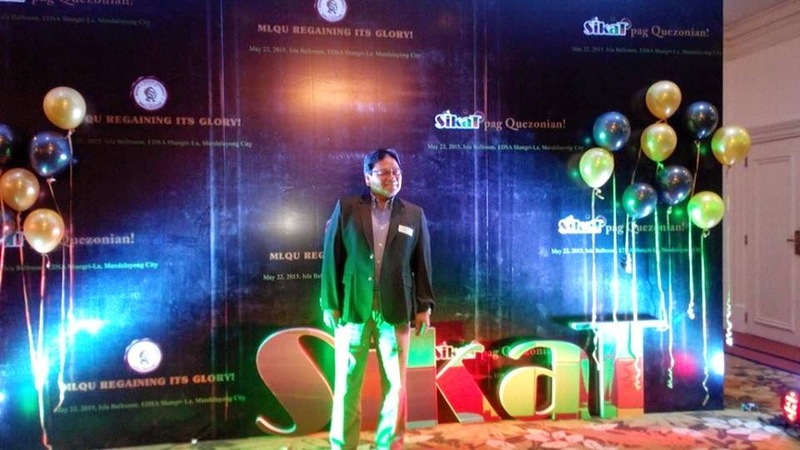 The list of MLQU outstanding alumni goes on and on. Some of them held high government positions such as Justice Secretary Ricardo C. Puno Sr.(1979-1984), Justice Sedfrey Ordoñez (1987-1990) and Justice Artemio Tuquero (2000-2001) while Justice Ricardo Villarama Jr., Justice Venicio Escolin, Justice Jose Melo, Justice Jose Vitug Justice Ruben Reyes and Justice Isagani A. Cruz went on to become associate justice of the Supreme Court. MLQU graduates who made notable achievements in government service include Former Foreign Affairs secretary Alberto Romulo; Former Commission on Elections chair Benjamin S. Abalos ; Former Labor Secretary and Senate President Blas F. Ople; Defense Secretary Voltaire Gazmin; Department of Trade and Industry undersecretary Lilia de Lima; Labor Secretary Rosalinda Baldoz; Tarlac Governor Jose V. Yap; Former Chairman, PCGG Magtanggol Gunigundo; Former Agrarian Reform Secretary and former Bulacan Governor Obet Pagdanganan; Former Senator Wigberto Tañada Former Senator Wenceslao Lagumbay; and Congressmen Rodolfo Albano Jr., Pangalian Balindog, Fredrick Abueg, Silvestre Bello III, Antonio del Rosario, Samuel Pagdilao and Reynaldo Umali. 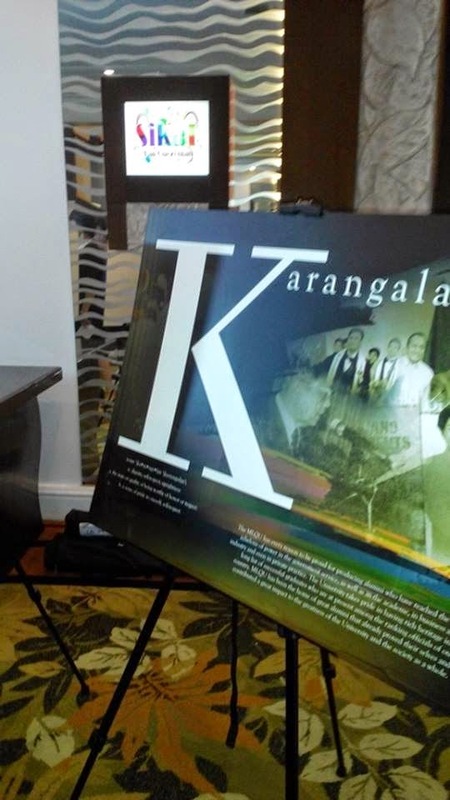 Alumni members who have gained fame in the practice of law include Justice Carmelita Manhan, Atty. Benjamin Tabios, Justice Alicia Sempio-Dy, Justice Nicolas Lapena, Atty. 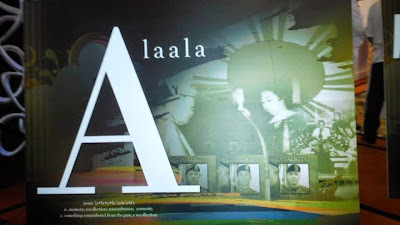 Norberto Quisumbing, Justice Manuel Pamaran, Justice Hilarion Aquino, Justice Roberto Abad, Justice Perlita Tirona, Justice Jose Vitug, Judge Jesus F. Guerrero, Justice Renato Dacudao, Atty. Ma. 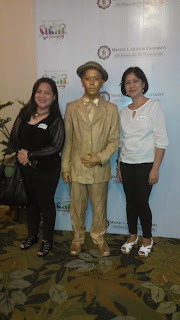 Luisa Dizon-Villarama, Justice Serafin Camillon, Justice Nicolas Lapena Jr,. Justice Luis Victor, Justice Enrico Lanzanas, Justice Ricardo Ilarde, Justice Ricardo Lagman, Justice Amparo Cabotaje-Tang, Justice Jose Hernandez, Justice Samuel Martires, Atty, Conrado Vasquez, Atty. Medwin Dizon and Atty Danilo Lopez. Many MLQU graduates have achieved distinction in their field of expertise and New San Jose Builders, Inc. vows to continue on building the MLQU's legacy of excellence, legacy of greatness, and legacy of an outstanding institution the school is known for. MLQU will strive to produce nationalistic, competent, educated, and upright Quezonians imbued with a spirit of selflessness and commitment to being of service to society. This is why many Quezonians have become sikat in their respective fields. Under the expertise of NSJBI’s building developments, MLQU will reap the benefits of its state-of-the-art facilities. MLQU's plan to open a Real Estate Management course will further boost the school’s prowess in producing top-caliber graduates. Future plans comprise establishing MLQU's f presence in Balanga, Bataan, as well as strengthening its Professional School, the School for Professional Advancement and Continuing Education (SPACE), which would further upgrade the level of education that they provide. With the involvement of its alumni, the public can expect more changes and improvements in MLQU. So...it's not a restaurant as I thought, haha. It was such a big event that covered a lot of activities. I didn't know there's such univ as Manuel L. Quezon University. Oh...I knew it - an ad to stir the opening of an event. I think, the author was partnered to stir the netizens for MLQU because you have the info and photos. Just to dramatize the event. I hope his starts the re-emergence of MLQU. I know some notable names from MLQU too. This is a better campaign than the Olivia. What a nice campaign for their Alumni. I think my mom mentioned this school to me before. Hahahaha..yun pala yun sis...pinahirapan mo pa kami..lolz,..anyway Congrats to all Quezonians..it was a great billboard campaign. Finally we now know what the ad was all about. I also saw this featured on TV. I wasn't aware of such university before. SO this is what the rumor is all about. Great marketing strategy for MLQU. I wonder if the woman on the picture 2nd big photo is Rustica Carpio. Can you tell me? Yes. The woman with glasses is Dr Rustica Carpio. All the best to MLQU and to its new owners San Jose Builders. Where is the school located? This is a great campaign and I'm sure a lot would follow suit and join MLQU.